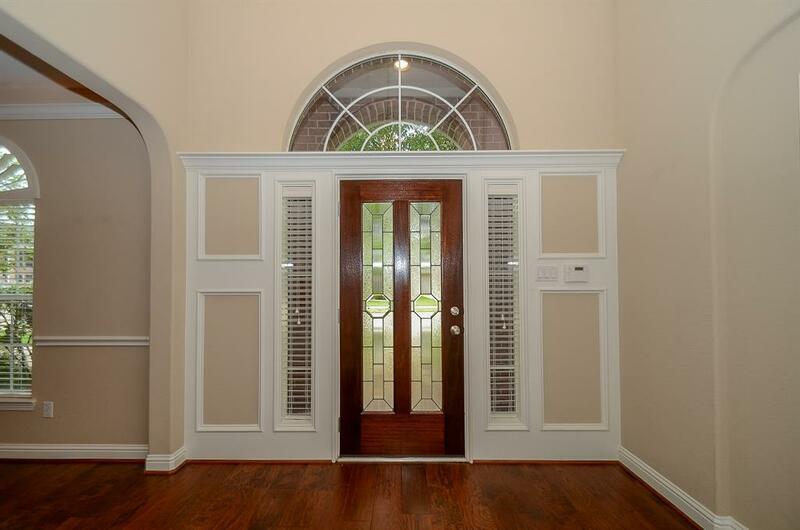 Feel right at home in this lovely Grand Lakes home! 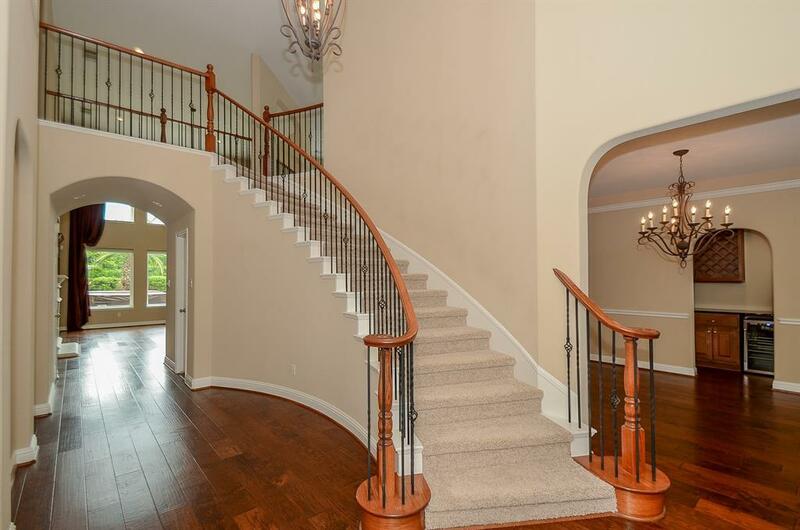 Rich wood flooring, fresh carpet and spotless paint highlight its five spacious bedrooms, elegant dining room, private study with built-ins and living area with soaring ceilings and fireplace. Cooks will appreciate an open kitchen with stainless appliances, center island and abundant cabinets. A Butler's Pantry and Wine Alcove with wine cooler compliment the formal dining. Upstairs are four bedrooms, a game room and media room! 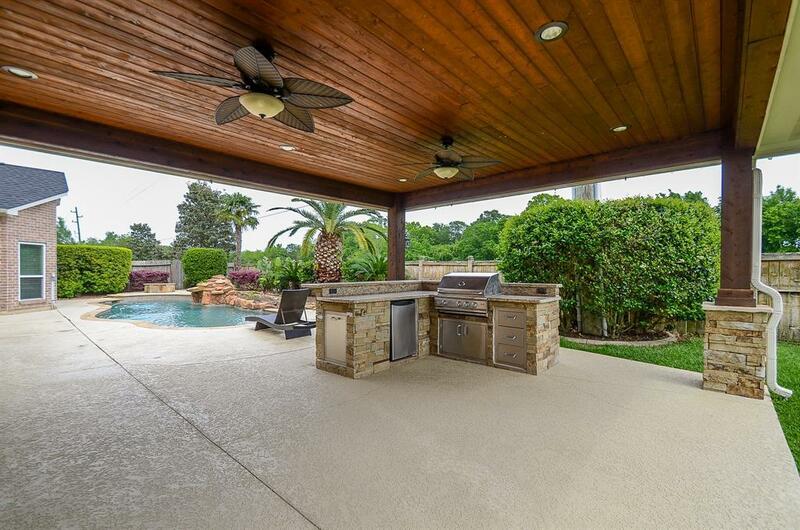 Outdoor living with no neighbors behind includes a pool, fire pit, heated spa and oversize covered patio with kitchen, plus an outdoor shower and mosquito system! The split three car garage has epoxy flooring and built in cabinets. Don't miss the walk in attic for extra storage. 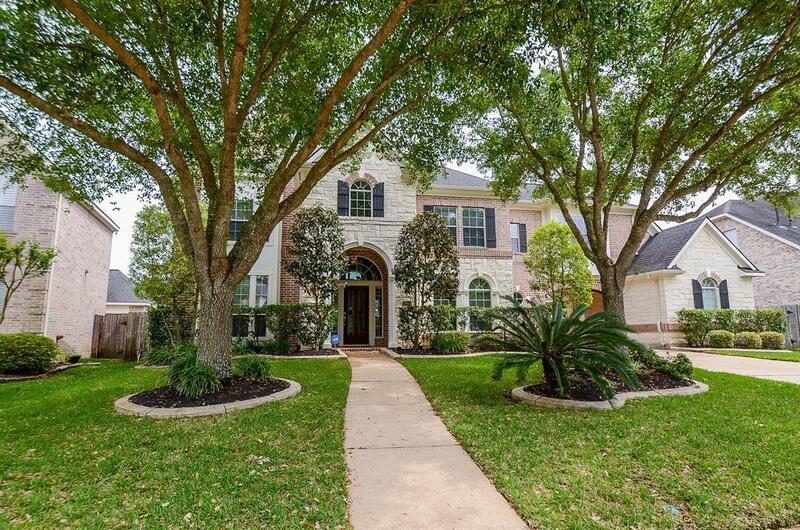 Enjoy the tranquility of community lakes and walking trails.Minutes away from Hwy 99, retail and Katy's highly acclaimed schools. NO FLOODING PER OWNER. Hurry Home!